It can be difficult to appreciate Copenhagen’s many highlights during a brief visit. 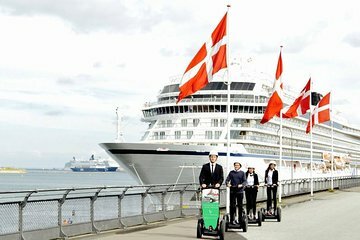 Maximize your time in port on a Segway tour. Zip between attractions with ease, saving time and foot fatigue, and discover sights including the Little Mermaid statue and the Royal Palace. Benefit from use of audio headsets to hear your guide clearly, and benefit from the small-group size for a more personalized experience.